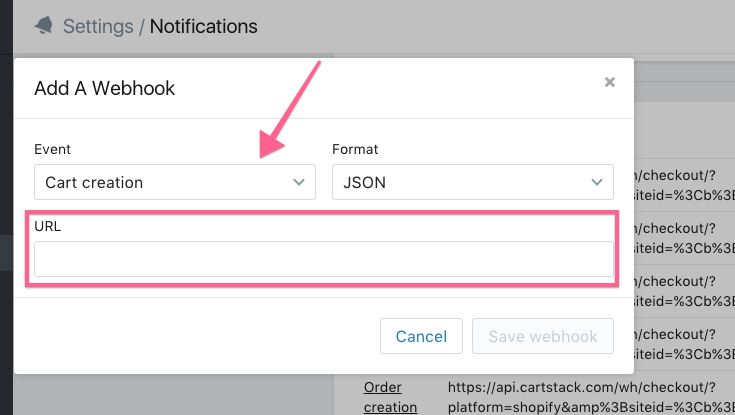 1 Adding the CartStack tracking code to your Shopify theme. 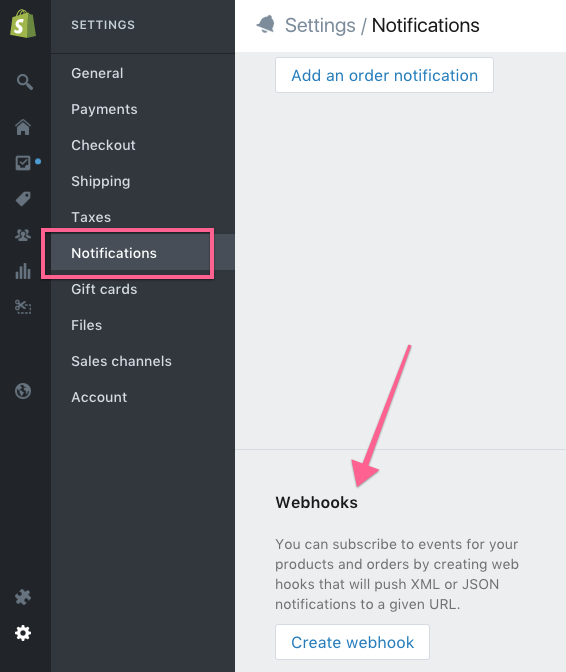 2 Adding Webhooks to your Shopify site. Adding our code onto your Shopify account. Our code can be found on the Code Page of your CartStack account. Log into your Shopify Account. Select Online Store > Themes. 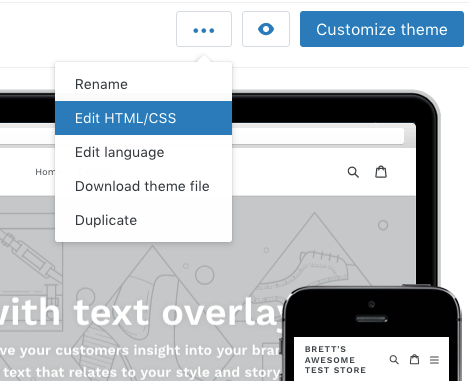 Select Edit HTML/CSS from the drop down menu. Under Layouts > Theme.Liquid. Paste tacking code right above the </head> tag. Select Settings > Notifications from the admin pane. Scroll to find Webhooks. We're going to Create Webhooks for 5 events. You will need your unique siteID from your CartStack account. Locate your unique CartStack SiteId from the Code Page on your CartStack account. You will want to copy the data- siteid value (see below screenshot). 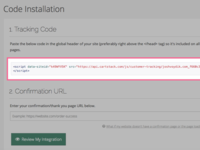 Your unique siteID will go at the end of the Webhook URLs below. Select the Webhook from the "Event" drop down and update each URL, adding your SiteID to the end of each URL. Note: make sure to copy the webhook URL that is next to each event below. The URLs are slightly different based on event type. Once all 5 webhooks are updated, please send the Webhook verification code to support@cartstack.com, and someone on the CartStack team will test your integration and let you know when your email campaign is ready to go live!